HENDALA, Sri Lanka — Vithana Gunathilake’s motto is tattooed across his chest. The ink faded during his years here, but he still believes in the message: Do or Die. To prove it, he cradles a harmonica with his damaged hands and starts playing. For seven decades, his home has been the Hendala Leprosy Hospital near Sri Lanka’s capital of Colombo. When he and the nearly 40 other patients here eventually die, the leprosy hospital will close for good. Until then, it serves as a sanctuary for aging men and women with nowhere else to go. “I’ll be here until my death,” said Gunathilake’s friend, Abdul Hassaan, 59. He has four children, but they don't visit. “For this disease they are very frightened,” he said, pointing to where his leg used to be. Most patients at Hendala have similar stories of being abandoned by their families after leprosy ruined their bodies. The disease damages nerves, skin, limbs and eyes. Most people are naturally immune to the leprosy bacteria. And even if caught, the slow-growing germ can take years to cause symptoms. Hassaan’s leg was amputated after an infection. The fingers on his left hand are mostly stumps, and he can’t see very well. Hassaan chose to remain at Hendala the past 20 years to live with people who understood the way he looks, rather than fear him. He found a girlfriend in one of the female wards. “I’m living very happily. I never think about my previous life,” he said. Hendala at first was more like a prison than a sanctuary. “If we ran away, the police would catch us and bring us back,” recalled Edward Alwis, 87, the hospital’s oldest patient. He remembers being locked onto an ox cart and packed off to the facility in 1943, at age 14. “You were a non-person, not beloved by God,” said historian Lodewijk Wagenaar about the public's attitude toward leprosy when Hendala opened in 1708, when the Dutch controlled Sri Lanka. In biblical times leprosy was seen as curse, and those with the disease historically were treated as outcasts. Hospitals like Hendala, also known as leprosariums and colonies, functioned like small villages. Hendala had a school, prison and post office in the mid-1900s, when many of the current residents were admitted. Fewer leprosy hospitals exist today because there’s not much need for them. If the disease is caught early enough — discolored patches and sores on the skin are early signs — a multi-drug therapy developed in the 1980s with three antibiotics can usually cure leprosy in six to 12 months, although any deformities are permanent. In the last 50 years or so, Hendala’s population has dropped from several hundred to the few patients who remain. 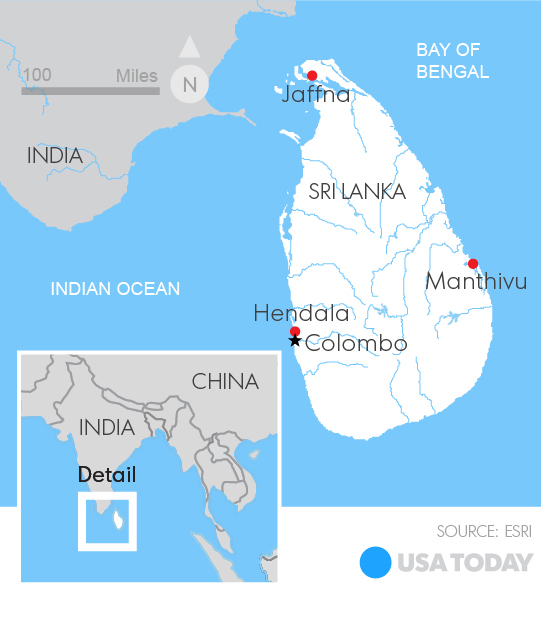 Only a handful of patients are left at Sri Lanka’s other leprosy hospital, on Manthivu Island on the east coast, which opened in the 1920s or '30s. In February, the Sri Lankan health minister announced that more resources would be spent on fighting leprosy and HIV/AIDS. The world sees about 200,000 new leprosy cases a year, most in India, elsewhere in Asia and Africa. A few people are still diagnosed in Europe and North America, and leprosy hospitals remain in Hawaii, Romania and elsewhere. No one at Hendala is still infectious, and no new patients are admitted here or at Manthivu Island. Leprosy today is treated at dermatology clinics and regular hospitals. 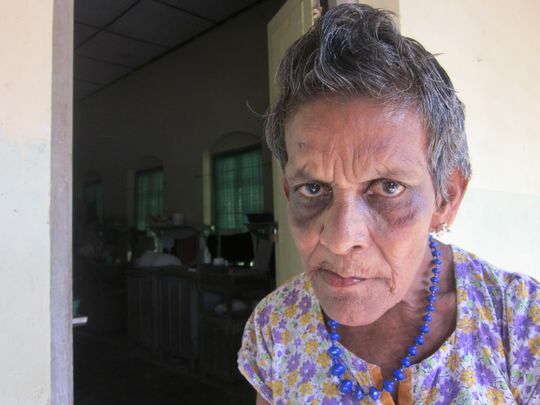 “Now we don’t see such a great stigma in the community,” said Nilanthi Fernando, a physician and director of the Anti-Leprosy Campaign in Sri Lanka. Many of Hendala’s patients were able to return to their communities after treatment, and attitudes toward leprosy changed in much of Sri Lanka after a massive awareness campaign in the early 1990s. Fernando admits that some people today are still frightened to say they have leprosy. The patients at Hendala can leave whenever they want, but few do. 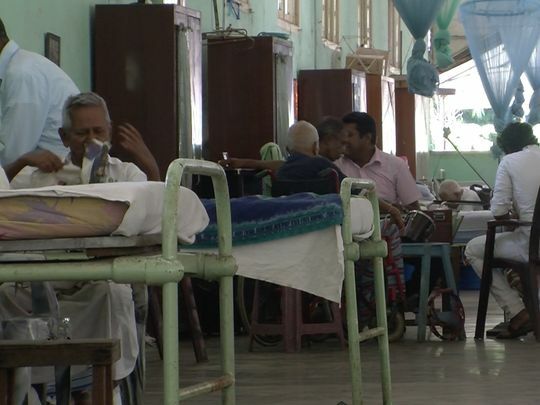 “They’re in their late 70s or 80s, and most of their relations are dead,” said Marina Joy Sabanathan, 73, a retired physician who worked at Hendala in the 1970s. The patients Sabanathan remembers from decades ago were skilled gardeners and carpenters who crafted furniture to sell. She even bought a piece herself. “They always felt they could be like anyone else,” she said. That do-or-die attitude still exists, although as the patients grow older, there’s less activity. Gunathilake plays his harmonica in the hospital band. 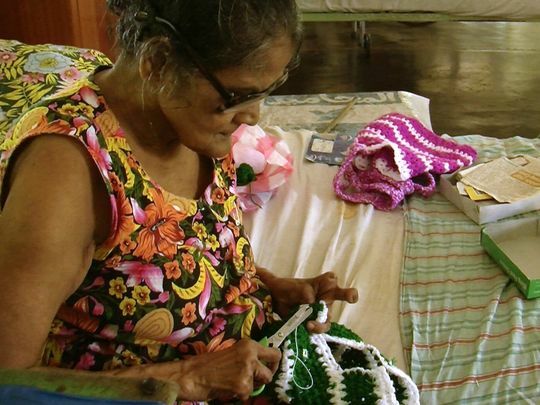 The women who still have fingers sew and knit. Patients have married one another. Despite Sri Lanka’s progress in fighting leprosy, the community that developed at Hendala has become a symbol of the stigma long associated with the disease. Sabanathan's time at Hendala inspired her to volunteer with the Leprosy Mission England & Wales, a British charity working in Jaffna, in northern Sri Lanka. Leprosy in that region has been a growing concern since a 26-year armed conflict ended in 2009. “Because of the war, people were on the run all the time. Nobody bothered about the patches (on their skin),” Sabanathan said. When displaced people returned home after the war, they had a chance to go to a hospital to be diagnosed. “Leprosy people still think they’re sent to Manthivu Island and Hendala,” said Joshua Sivagnanam of Kaveri Kala Manram, which organizes theater performances in Jaffna to explain why leprosy should not be stigmatized. Many children watch the performances — a good target since 10% of Sri Lanka’s new leprosy cases are children under 15. When youngsters are diagnosed with leprosy, it’s a sign more adults might also have the disease.